Has Old Man Winter been overstaying his welcome? Are you feeling trapped under those heavy blankets and sweaters. Even if you can’t splurge on an exotic vacation to a romantic island, our affordable tropical beach art posters can brighten your room and your mood! 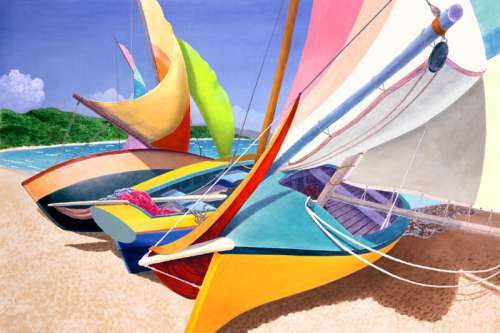 Imagine cheerful art that takes you far away to your ideal escape paradise. Can you feel the soft ocean breezes? 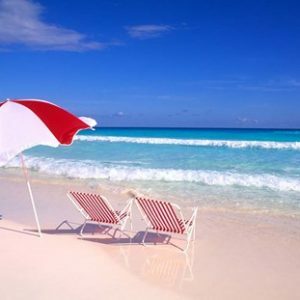 This has been a particularly bitter Winter for many people, and given the ongoing struggles with our economy, most of us cannot afford to take off to some gorgeous, balmy beach. SAD (Seasonal Affective Disorder) also can be a factor in our mood during the long Winter months, when sunlight is diminished. For those afflicted with the depression associated with this season or even those with a case of the winter blues, it can be difficult to feel motivated. Many doctors have prescribed doses of vitamin D along with light therapy to assist those with SAD. Perhaps a cheerful, sunny beach scene along with those treatments can elevate the mood. Display tropical beach art print of your favorite location or even a place you have always dreamed of visiting on a well-lit wall in your home or office. Play soft music, waves, or nature sounds and picture yourself in the scene. Imagine the feel of the soft sand against your skin. Hear the birds call and the waves lap the shore. Perhaps you hear laughter of children in the distance or your loved one’s voice. Take deep cleansing breaths, letting them out slowly. While you breathe out, try to relax your muscles more and more each time. 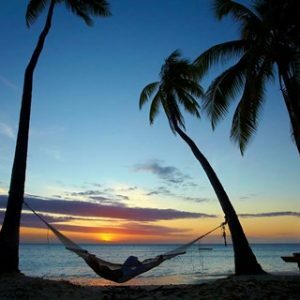 These relaxation techniques have proven very helpful to many in alleviating stress and depression when used on a regular basis. Folk is said to be the hottest style for 2009 so forget about the winter chills and start preparing for summer right now with these fresh, floaty and bright ideas for folk decorating. Chances are the walls of your home are a neutral white or cream color, and this is the best possible base for folk decorating. This is because folk decorating is all about natural products and traditional designs, which are reinterpreted for modern living. These traditional floral fabrics and handmade items are then the stars of the show against their white backdrop. And there is no need to clear out your whole home to begin again from scratch with this decorating style either. Natural products are a feature of folk decorating and so your wooden dining table and chairs will be right at home, and you can add a calico table runner or paper doilies to bring it in line with the rest of your folk style. This could be a handmade woollen throw rug draped over the back of your couch, in rich chocolate, red, pink, blue and green colors to pick up the pastel tones of the floral fabrics you have hung from the windows, and the cottage flowers you are displaying in a simple glass vase. The feel for folk decorating is very bohemian and relaxed, so don’t stress out about matching your designs and colors. Simply have a look through op shops for colored ceramic plates and bowls, and select brightly colored and patterned throw cushions to liven up your couch. How Beautiful Art is the Best Medicine! Like the power of music is widely known to sooth and cure emotional hurts, viewing beautiful paintings can reduce pain as being a third less intense as when compared to viewing a blank panel. Like actual ocean waves with their reassuring rhythm and freshness can revive any sagging spirit, the mere picture of such a calming and soothing scene can lower BP and fatigue in the elderly or highly stressed individuals. The reports at the Neuro-physiopathology Pain Unit also confirm that beauty triggers a response in the orbitofrontal cortex ( part of our brain) that helps reduce the stimulus of pain. The more beautiful something is perceived to be, the more that part of the brain lights up! Beauty obviously offers a distraction that blank and bare walls do not. Art like tranquil scenes, colorful tropical paintings, enchanting murals, beach views and similar sights of innocence, freshness and nature plays a vital part in soothing physical as well as mental agony. Beautiful surroundings can even aid the healing process as per the findings reported in the ‘New Scientist’. What a wonderful inspiration is this painting of the Tar Pits in Carpinteria. Once while walking along the bluffs above the tar pits in a very distressed state, I came upon a dear friend who was running along the bluff in the same condition as I. The day was common to Carpinteria; ocean waves back lit by sunlight, the surf pounding the beach 30 feet below, the warmth of a light breeze wafting on the shore. We began to try to encourage each other with words of wisdom, and as my friend and I were on an angle to the ocean, I looked off down the length of the shoreline and noted what I thought looked to be a great many dolphins churning the Pacific. Knowing that dolphins in large numbers often follow whale populations, I wondered if that might be what I was seeing. Calling my companion’s attention to the place in question I asked, “Could that be a whale?” To which he replied, “Well, it certainly looks like a whale footprint.” So as we stood there continuing our conversation, our eyes never left the sea. Of course, I am ever trying to get something really good on my camera to turn into a wall print, so I had it at the ready. We were bemoaning feeling lost and alone when, suddenly, not three hundred feet away, two whales surfaced! Of course I got my camera up trying to capture the experience until the moment was gone. In the interim, my friend was taking in all the event in glorious living color. He witnessed the breaching of one of the creatures while I had my nose stuck in the view finder trying to get the camera to work. I have never seen a whale breach, but did not feel robbed as we had had this wonderful experience which affirmed for us the love of our heavenly creator, given at a time when we both needed that affirmation so much. We fell on each other, hugging tightly, giving thanks for this fine revelation. Thanks to the artist for making that great experience come back to life in this wonderful wall art. His use of color, his realistic portrayal of the ocean, the angle of the beach in this painting, the moon rising while the sun is still awake…all serve to help me to relive the day that I remember as one of the best I have ever experienced. Oars may not be the most spectacular piece of a boat, but they are one of the most important because without them there would be no water adventures and no way to get to the next great fishing spot. But the oars are also not much use on their own and like most people, work best when they work with someone they fit well with, and they can see what they’re trying to achieve. The rainbow of colors depicted by the oars in ‘Oars Ashore’ by Richard Shaffett also shows that the oars know they are not much good on their own, but they are important in the scheme of things, and so why shouldn’t they look fabulous while they’re waiting for their next adventure to come along. The colors of the oars spliced with the simple, single colors of the ocean and the sky also ensure that you know – even if only for now – that the oars are the center of attention in this seascape painting, and their colors are what will draw your eye when the painting is displayed as a piece of wall art in your home. The artist believes that the oars would rather be at sea, that is why they are pointing out towards the shore, striving to get back into the water where they do their best work. But I think that these oars are enjoying the chance to chill on the beach for a while. I think this colourful display of oars is quite happy resting in their prime beach position, subtly shaded but still enjoying the warmth of a summer day at the beach. But after all, isn’t that a trick we’ve all tried before – striving to appear as though we would rather be doing what people expect of us, when we are really quite happy taking a break from the pressure of our position. This portrayal of the Big Sur reef once again brings one seaside. If you have ever experienced the beauty of sea crashing to land, you will love this rendering. We are allowed a glimpse of shy ocean dwellers in this motion filled work of art. The artist’s fine attention to detail and his use of color is outstanding. Mr. Leasure captures the movement of the sea so well in his paintings; the swirling of the foam on the beautiful turquoise water, the ebb and flow as the tide rushes to land to climb onto the rock only to run away again to muster up another assault. One might think that the pounding surf would dislodge any creatures clinging to the rock face. But there they are…in all their glorious detail; sea stars and anemones, clams and coral alike. These are often seen in Leasures paintings.And why not? He does them so well. This is not a hurried work of art. The reef is teeming with life. Notice the seaweed dancing off to the right of the canvas; a fine attention to detail the like of which runs through all of this artists’ original works. This beautiful painting or wall art print would make a lovely addition to any home whose occupants love the sea and its often invisible creatures. 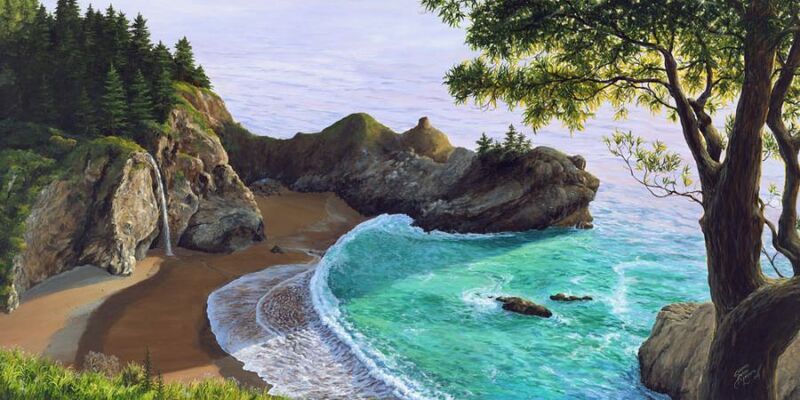 And for those who have never visited the rocky coastline, this fine artwork would add the beauty of the California Coast to the interior design of your home. Most seascape paintings are of soft calming waves, or long stretches of white sandy beaches, however ‘Pelicans at Seal Rookery’ shows you the other side of the sea – the rough and unforgiving side which many of us like to pretend isn’t there when we are enjoying a day at the beach with our friends and family. ‘Pelicans’ shows the powerful waves and the white foaming breakers which have rushed in across the shore and covered the rocky reef below. There isn’t even a glimpse of the sky; instead the focus of this seascape painting is the majesty and the power of the ocean. But while we don’t like to worry about the power the ocean and its angry waves could have on us if we were left alone with them, the pelicans in the painting are seeking out the waves to use their energy and their power to enjoy a day on the water, surfing the currents thrown up by the out of control waves. And wouldn’t this seascape painting make the perfect wall art display for your office? While you wouldn’t go out and take on these waves, everyday in business you go out and take on the big guys, because you can. Sometimes you get tossed around by something you didn’t see coming, something out of your control, but you’re in it as much for the thrill of the ride, as you are for the success your risks and determination bring your way. And don’t you do it just a little bit to show those people who doubted you how wrong they were? While there are other businesses who wouldn’t take on the challenges and the clients you have, there are also lesser birds who would shy away from the power and force of the waves and wait for a calmer day to enjoy the ocean. But the pelicans are out there anyway, because they can be, and while the colours and textures used in this seascape painting mean that at first glance you don’t notice the pelicans amongst the waves, when you look closer, there they are and you can see that their power and confidence matches that of the waves they are taking on. I saw a movie once in which the main character came upon a tropical scene in which there was a waterfall. Beneath it was a beautiful exotic looking maiden, the falls spilling over her hair as she splashed in its cool waters. He stood there transfixed as the girl danced around beneath the rush of water in this tranquil paradise. Realizing she was no longer alone, she shyly took her outer garments and robed herself, embarrassed by being observed in her jaunty mood. Music played softly in the background. As the camera pulled back, the scene was revealed in all its splendor. The water was magnificent, the beach pristine. The rush of the tide just a few feet away came in cycles of azure, turning back on itself as it once again crept out to sea. It was such a peaceful scene: One which invited you to join in the merriment. I was very surprised to learn that this is a painting of McQuay Falls on Big Sur in California, not some tropical paradise island in the Pacific. But one could imagine that scene taking place here in a distant time. Perhaps a ship is anchored a few hundred feet off shore, her sails at rest. Perhaps a dingy has been dragged up onto the beach where it has disgorged sailors from the merchant ship. Or perhaps they are pirates, coming ashore to find a cave in which to hide their loot. Whatever your imagination can conger, let it roam…for the adventure of the high seas is quite imaginable in this beautiful canvas. This artist has a magnificent ability to portray on canvas scenes we all wish we could witness. Thanks, Susanne Renee Leasure! Traditionally, the pelican exemplifies the sacrificial love of a parent for its young ones, and have been made much famous by different artists in their paintings over many years. The graceful sea birds depicted in these paintings by the artist, catch the eye and your mind takes a flight to imagine the different moods of a seaside ambience. Sometimes, you prefer the elegant glide of the pelican over a wave like a skilled surfer, and at times you love to explore the frothy action of the wave trying to beat the elusive pelican at his game. The exciting contrasts between the turquoise or jade colored water with the white, frothy spray create stunning freshness and vibrancy that would enliven any wall or home. whatever your imagination conjures, you simply get mesmerized in the charm of the coastal scene. You could also take a cue from our gallant bird here, about living every moment of your day to its maximum potential and bravely facing your troubles that come on and off like the tides.